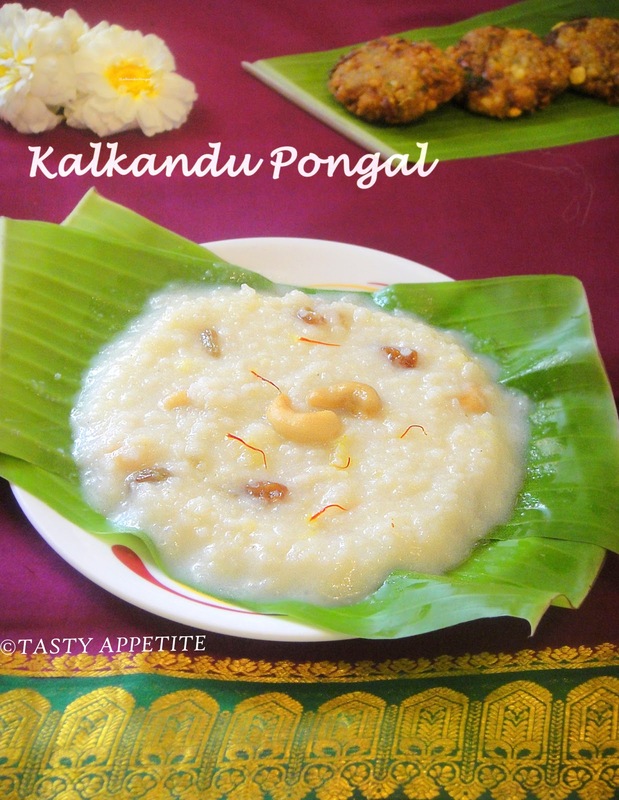 Kalkandu Pongal is a traditional Indian Sweet prepared during Pongal festival. The taste and flavor of this sweet dish is very unique. Kalkandu is the crystallized form of Sugar or Rock Candy. In this recipe, raw rice is cooked well and mixed with ghee, milk & powdered Kalkandu to enhance the sweetness & flavor. 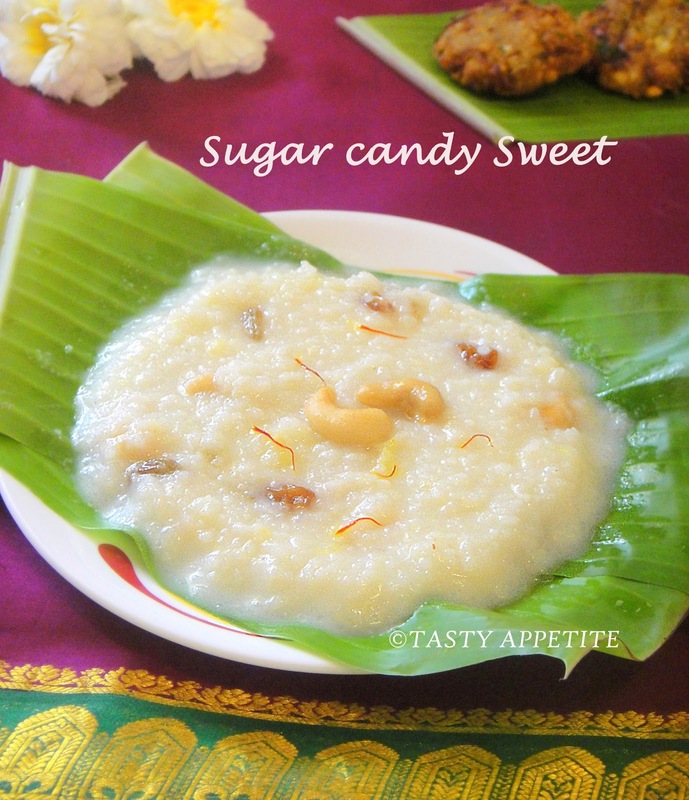 Try this easy recipe to make lipsmacking creamy Kalkandu Pongal & Enjoyy ! 1. Roast raw rice and moong dal ( paasi paruppu ) in a tsp of ghee in a fry pan till nice aroma comes. 3. Mash it by adding milk to it. 4. 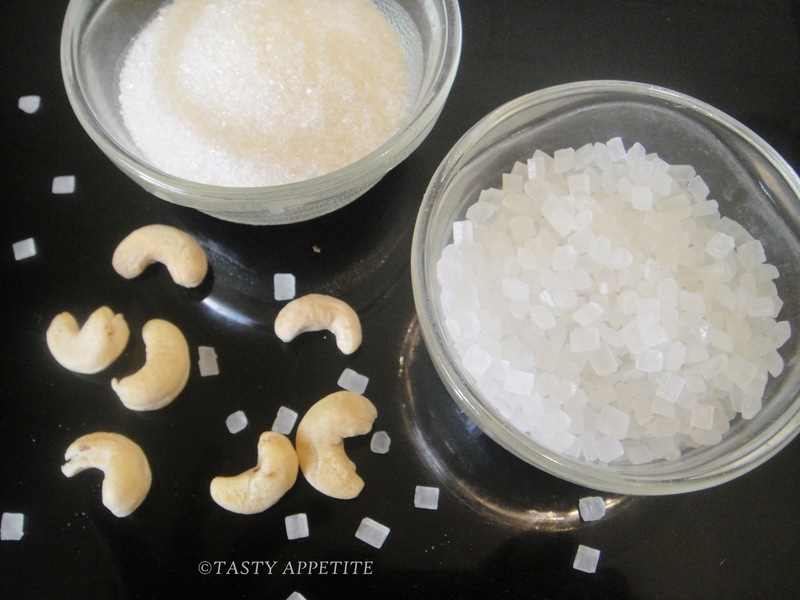 Powder Kalkandu ( candy sugar ) and sugar in a mixer & keep ready. 5. Heat 2 tsp ghee in a fry pan. 6. Roast cashew and raisins to golden. 8. 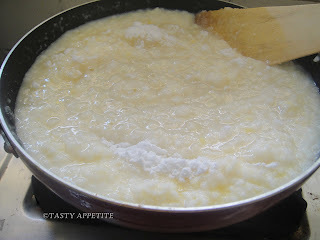 Add the mashed pongal and stir well. 12.Add ghee roasted cashew nuts and raisins. 13.Add cardamom pwd lastly and turn off the flame. 15.Lipsmacking Kalkandu Pongal is ready. 16.Serve hot with a dollop of ghee & enjoy..! 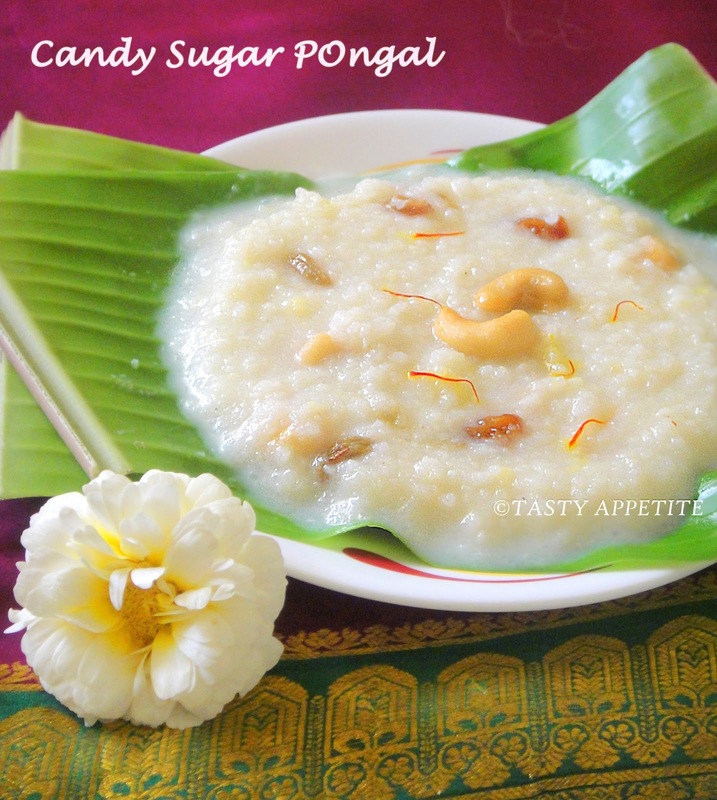 You can check other Pongal Festival Special Recipes here..! It looks nice and comforting. I love this I have in my draft too. The kalkandu pongal looks so heavenly and delicious ! super yummy and delicious... .
so perfect and so tempting!!! am bookmarking it!!! Pongal looks too inviting and delicious Jayanthy. jay kalakringa.yummy and all time fav.mom making this. Delicious love this. Long time since I have had this delicious payasam. Delicious pongal and perfect post for upcoming festival . 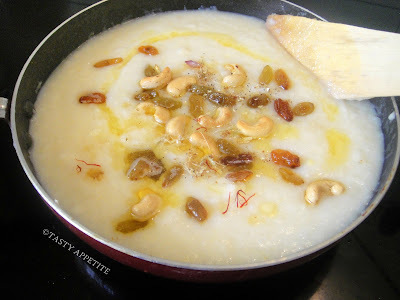 This recipe is new to me..Looks delicious Jay..happy Pongal to you ! Kalkandu pongal super a irukku Jay. Happy Adavance pongal to you. wish u too a happy pongal dear. and the pongal looks delicious. yummy yummy yummy!!! i wish i could get a chance to have food cooked by you..
Hi Jay, This is such a pretty and sweet dessert. Love the touch of color from saffron. yummy pongal,Happy Pongal to u!! Happy pongal wishes Jay, kalkandu pongal looks fabulous. Thanks for your precious time...! Your feedback is very valuable to me..
@ josh : hope this will be useful..
Just looks mouthwateringly delicious...happy pongal & sankranthi to you & yours! Happy Pongal to you & your family. Pongal looks yummy. 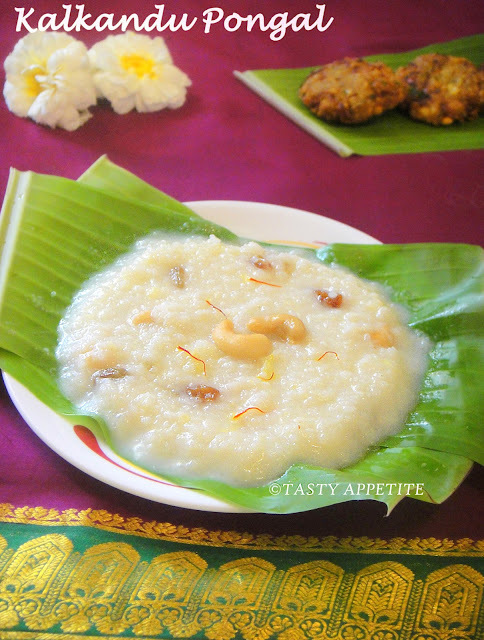 these pongal recipe is good and kesar use in these recipe is looks great.